Confidently and Accurately Providing Home Inspection Services to Hudson Valley & Catskill Region. Discounts available for return customers! Confidently and Accurately Providing Home Inspection Services to Hudson Valley & Catskill Region. Helping you make a smart decision about your home.  CRL Inspections, LLC is committed to serving you, my customer. My business is built on trust, integrity and making sure you know about the investment you’re about to make. My promise to you – I will inspect your home as if it were going to be ours. I strive to uphold a reputation for excellent and timely service, high-detail inspection services, and delivering you a home inspection report that gives you the insights you need to make an informed decision. $100 off every additional inspection in that year period. (max of $400). Why Hire CRL Inspections, LLC? Call or text to schedule an inspection or if you have questions, at (201) 961-3507. Otherwise, fill out this form and I will be in contact with you as soon as possible. CRL Inspections, LLC provides home inspection services to Hudson Valley & Catskill region including Hudson, Orange, Putnam, Dutchess, Ulster, Sullivan, Westchester, Columbia, Delaware, Greene, Queens, Nassau, Suffolk, Kings, & Richmon counties.